Research Journal of Chemical and Environmental Sciences (Published By: Academy for Environment and Life Sciences, Agra, U.P. INDIA) is an open access peer reviewed/ refereed journal, which is approved by UGC [University Grant Commission, India]. The Journal publishes original research papers, review articles, case reports and short communications in all aspects of Chemical, Agricultural, Pharmaceuticals and Environmental science in the hope that it could be beneficial for the research of chemical and environmental scientists, engineers and applied chemists. The aim of the journal is to provide an international forum to Researchers, academicians and other professionals of concerning subject area, to share the knowledge of scientific advancements through a peer reviewed publication. The scope of the RJCES is to publish articles in the area of Agricultural Sciences, Chemical Sciences, Pharmaceutical Sciences, Pharmaceutical Chemistry, Pharmaceutical Analysis, Pharmacology, Toxicology, Pharmacognosy and Pharmaceutical Biotechnology, Pharmacokinetics, Pharmacodynamics, Drug Design, Drug Regulatory Affairs, Phytochemistry, Novel Drug Delivery Systems, Pharmaceutical Nanotechnology, Pharmaceutical Microbiology, Clinical Pharmacy and Hospital Pharmacy, Pharmacy Practice, Clinical Research, Pharmacogenomics, Pharmacoinformatics, Pharmacovigilance, Medicinal Chemistry, Organic Chemistry, Inorganic Chemistry, Physical Chemistry, Analytical Chemistry, Phytochemistry, Biochemistry, Industrial Chemistry, Structural Chemistry, Green Chemistry, Photochemistry, Agricultural Chemistry, Soil Chemistry, Polymer Chemistry, Macromolecular Chemistry, Computational Chemistry, Petroleum Chemistry, Chemical Engineering, Environmental chemistry, Environmental sciences, Environmental engineering Environmental biology, Ecology, Geosciences and environmental physics, Waste Mangement, Pollution Ecology, Environmental management, Environmental technologies, Environmental pollution, Biogeochemistry, Legal aspects related to environment, Green Energy and Technology, EPA, Public Health and Environmental Issues, Other environmental related research works. 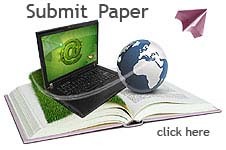 Authors are invited to submit their research articles, review papers properly formatted as per the author guidelines to editorrjces2013@gmail.com. RJCES is published as a bi-monthly journal with six issues per year in the following periods as February, April, June, August, October and December. Special editions are also planned subjected to the scope and need. We adopt online first method which means the selected articles will be uploaded immediately once it is approved by the reviewers and also the editorial board. All submitted articles will be initially subjected to editorial procedures, if found suitable for publishing will be sent to reviewers for peer review, we adopt double blind peer review system. All submitted Manuscripts are first subjected to Plagiarism check using CrossCheck iThenticate/Viper/Turnitin. Once the review process is over and the article is accepted authors will be intimated over mail with the galley proof which the author is insisted to reply within 10 days of time, after which the article will be sent for publishing. We are adopting open access publishing policy in which all articles submitted to RJCES will be published under Creative Commons Attribution License (3.0) . Copyright of the published articles will be with the concerned authors as per the license, authors will be requested to grant first publishing rights to RJCES. Under this license authors published article can be posted in their personal or their institutions website, can be emailed to their friends and colleagues, also may be printed, freely distributed, archived in any collection, included in a course material, quoted in publications, translated and distributed, provided that the original work is cited. For full details about the Creative Commons License click here and to view our open access policy click here. * Authors can be Withdraw manuscript within 2 days, after submission. * No withdraw allowed after acceptance of Manuscript/paper title listed in Content/Online Publication. * No return publication fee at any conditions. * Authors or conference organizers or a third party are not allowed to withdraw submitted manuscripts because the withdrawal wastes valuable manuscript processing time, money and works invested by the publisher. The authors or conference organizers or a third party must always pay $100 per manuscript processing charges as withdrawal penalty to the publisher even if the withdrawal is permitted. UGC Indexed, NAAS rating 4.64 , Index Copernicus 71.7 , CAS USA, Indian Citation Index, Universal Impact Factor, American Standers for Journal and Research, World’s cat, E-Journal, Open Access Journal Search Engine, Cabell Publishing Library [UK], SCOLAR [China], Newjour, DRJI, Proquest, Ulrich's Periodicals Directory, Scholar Steer, Scientific Journal Impact factor 2.59, Scientific Indexing Services, PDOAJ, Asian Education Index, SHERPA/ROMEO, ResearchBibe, Research gate, Google Scholar, Global Impact Factor [0.564], General Impact factor, Journal Impact factor, IIFS, and Updating…..
RJCES is licensed under a Creative Commons Attribution 3.0 Unported License.